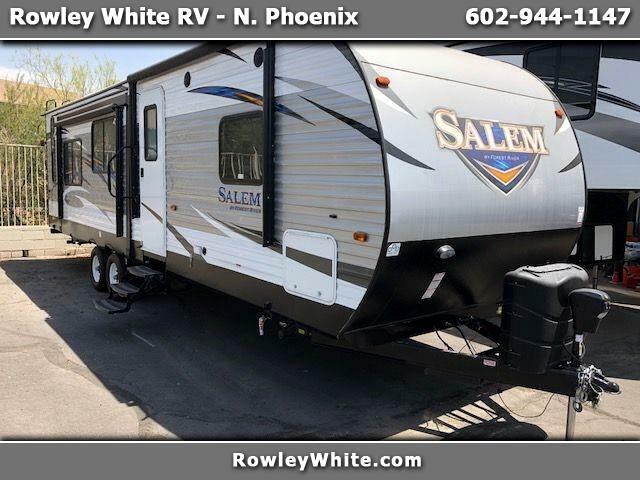 2019 Salem 27 REI Travel Trailer w/ Dual Slide Outs!!! and much more! Must see to appreciate! We sell for less Every Time! We also carry Eclipse Stellar and Iconic by Attitude, Pacific Coachworks Powerlite, Blazen and Genesis Supreme! We finance with multiple different banks to get the BEST terms and rates possible OAC! We are located at 9665 N. Cave Creek Rd. in Phoenix, AZ 85020 (Southeast corner of Cave Creek Rd. and Mountain View). Open Monday-Thursday 9-6, Friday 9-5, Saturday 9-4 and closed on Sunday. Message: Thought you might be interested in this 2019 Forest River Salem.